Last Tuesday was all about Alice. The drop in was due to start at 10 am but Peter from the Morley History Society – based in Morley market – arrived about 9.15. He presented me with a pencil in a sealed plastic bag. Looking closely at the inscription, I realised what it was. 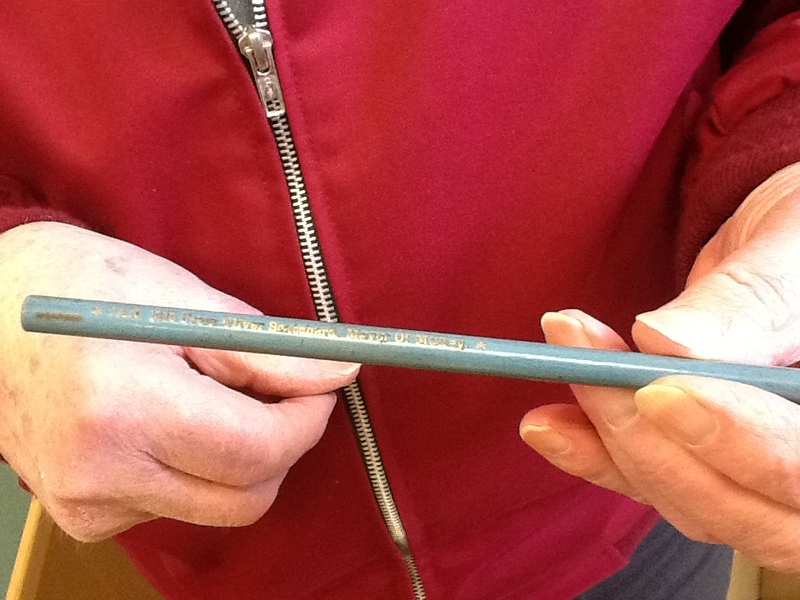 In 1900, during Oliver Scatcherd’s second term as Mayor, the pencils were given by the couple to every child in Morley. A pencil might not seem much to us but in some parts of the world stationery is still so scarce that charities have been set up to distribute them to economically poorer areas of the world to improve literacy. Oranges were also handed out by Alice who was interested in children’s nutrition and seems to have known about James Lind’s discovery that the fruit could offer protective benefits against scurvy. 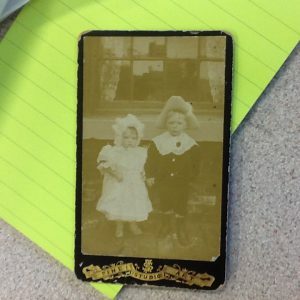 Kath arrived with a photograph of her grandfather and his sister. ‘He used to talk about this lady who once gave him an orange,’ she said. ‘His mother made him share it with the other children’. Could this have been Alice? Quite possibly. Kath and I had already been in touch because she wrote an article about Alice a few years ago for Cameo. Since our exchange she had been reading up on the philanthropist again. ‘I’ve got a feeling she wasn’t always nice,’ she commented, finding something in the scrapbook to back this up. It was a letter to the press from Oliver and Alice Scatcherd requesting the end to ‘Christmas Day torture’ when so many people knocked at the door to offer presents and expecting one in return that the 25th December became ‘begging’ day. 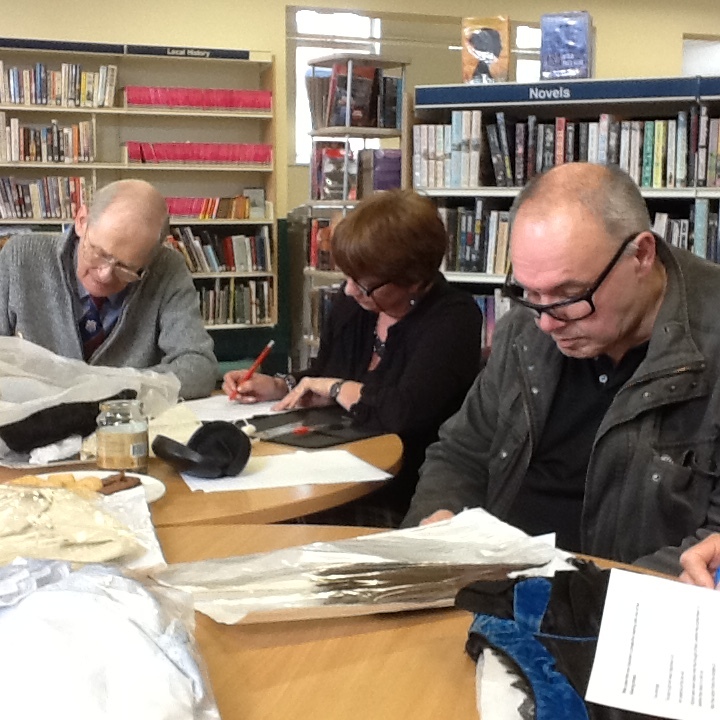 Julie and Clive from Morley Community Archives had been there from the beginning of the day. They and some of the other early birds put the finishing touches to the display while Allison, one of the librarians helped me into my costume. 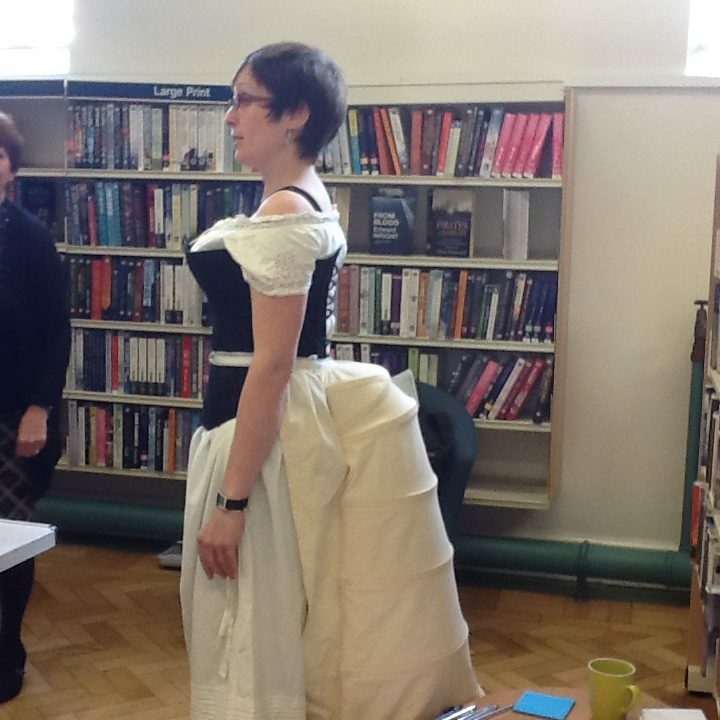 I emerged corseted, although not as tightly as I could be thanks to Allison’s leniency with the lacing. There is no slouching in whalebone (please note readers, there is no whalebone in this corset). People commented about me being in my underwear. It drew some interest and there were a few giggles even though, in full Victorian underwear, I was more covered than many modern women are today. Unfortunately the heating wasn’t working but luckily all the chatting kept me warm. Clive set up in the corner with his laptop. 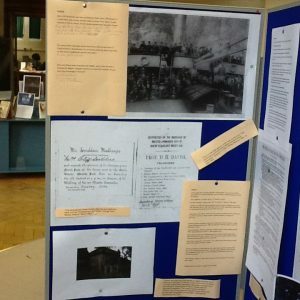 While people spoke to me about facets of Alice’s character that were on display on the board, a lot of people approached Clive with questions about Morley Hall where Alice lived with Oliver. People had a lot of memories about Morley Hall, particularly of the time when it was a maternity hospital but some of them were surprised to learn that it was also a hospital for Belgian refugees for a time after the First World War. Soon after married women were given the right to own property, Alice wrote letters from 27 Virginia Road. In most documentation, it is in Alice’s name rather than Oliver’s referred to as being on the deeds. As I mentioned to Paul, Alice grew up in Western Flatts. ‘I went to school there’, he said, ‘Cliff House. It was a special school. Best school in the world.’ He pointed out where the dormitories were, the psychiatrist’s office and the staff room and I added the information to the image. Cliff House was eventually donated by the Cliff family to Wortley along with the park. I am struck by how grateful I feel to these families who are responsible for us having so many parks in Leeds – it was believed to be good for the workers’ health to have green spaces to walk in. But sadly the beautiful house itself is now in disrepair, the property developer it was sold to having become insolvent. Peter returned for another look while Brian, who didn’t know much about Alice before he arrived stayed for the whole session, watching, listening, looking at the information. There were a few faces I recognised from my visits to Golden Days and The Readers Group. In total over twenty people popped over for a look and at one point there were eleven people peering at the display; the atmosphere was wonderful. Pauline found a connection with the textile industry. She had worked in a mill from the age of fourteen and, like Alice, believes in working women’s rights. Louise the librarian fingered some of the clothes loaned from the Leeds University archive. She was taken by the stitching, the softness of the fabric. Someone else was interested too, commenting on how tiny the clothes were. Gina brought photographs – Alice’s father and grandfather, a brick Joseph Cliff made. 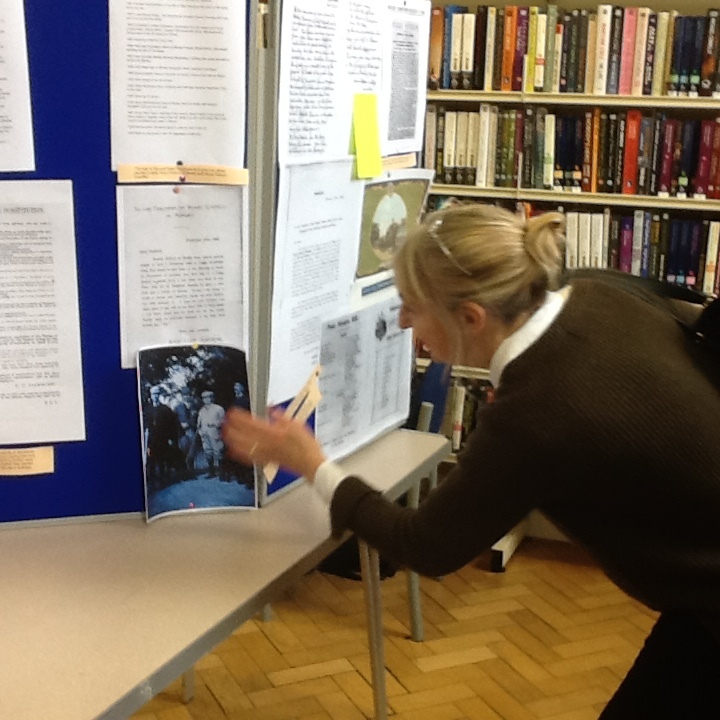 She’d also put together a half-written family tree for Alice garnered from her Ancestry research. We held up the picture of Alice’s grandfather to the photograph of the women at the Sheffield demonstration and tried to guess which one she was. It was agreed that she looks like the woman seated on the right. This was later backed up by Vine Pemberton Joss who has written a PhD on the Leeds Ladies Educational Association. Since the project started, I have had email and phone contact with several women who have written about Alice academically and on Monday I spent three hours talking to Vine about Alice’s contemporaries. Some readers will be interested to know that my quest to find the MA dissertation written about Alice by Marie Gilham took me virtually at least to Australia and back to York with a diversion to Leeds enroute. Margaret has also written a dissertation about Alice. The first I heard of this was during the drop in. She promised to visit me during my residency and to bring me a copy. She was most interested in the death certificate and wills which she hadn’t seen before and rushed off to photocopy them. The writing workshop was in the afternoon. We began by writing about the imagined legacy of a woman or group of women we admire. Participants were invited to interpret legacy in an abstract way as well as in terms of the physical objects that might be left. Then there was an opportunity to imagine characters from the clothes on loan, looking at the texture, purpose, colours and marks and using them as inspiration for a contemporary character, throwing in one of Scatcherd’s traits that seemed to fit with the created personality. There were some fascinating pieces written and afterwards I heard from four of the participants to say how much they had enjoyed the session, some of them sending me the pieces they had written. Stan even sent me a lovely tongue-in-cheek poem about Alice, a parody of the well known song ‘Living Next Door To Alice’. 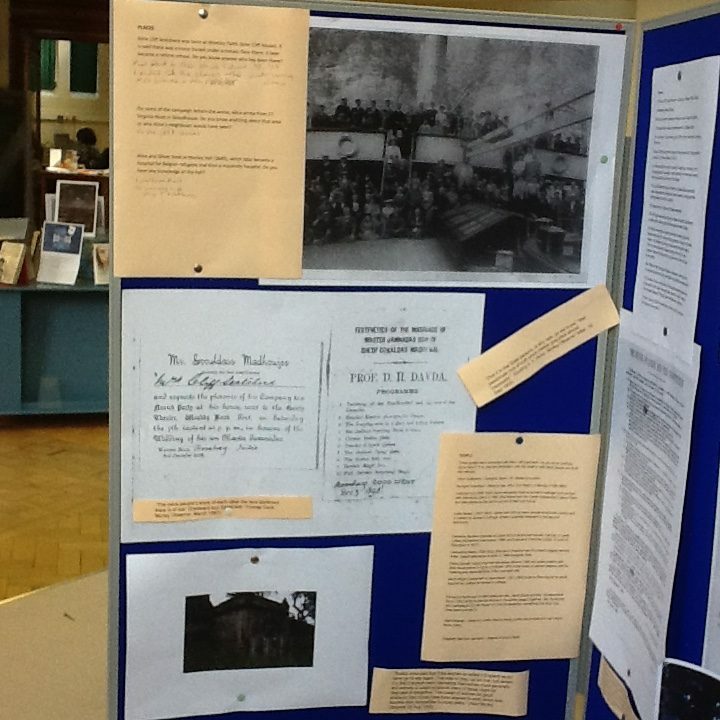 As I was packing up to leave the library, a lady became interested in the exhibition and I explained its context. ‘I live on Scatcherd Lane she said and I’d never heard of the Scatcherds.’ I told her more about Alice. ‘Did she marry?’ she asked. I said she did but didn’t wear a wedding ring. Fascinated, she drew more closely to the board where I left her. Next week, Monday-Friday, I will be writing the script inspired by Alice in Morley library. Most of the time I’m planning to have my head down writing but between 1 and 2 pm each day I’ll be happy to share the work in progress with people who are interested. I’d love to hear your feedback if you want to pop in. At Golden Days on Thursday morning there will also be a sneak preview of poems written. 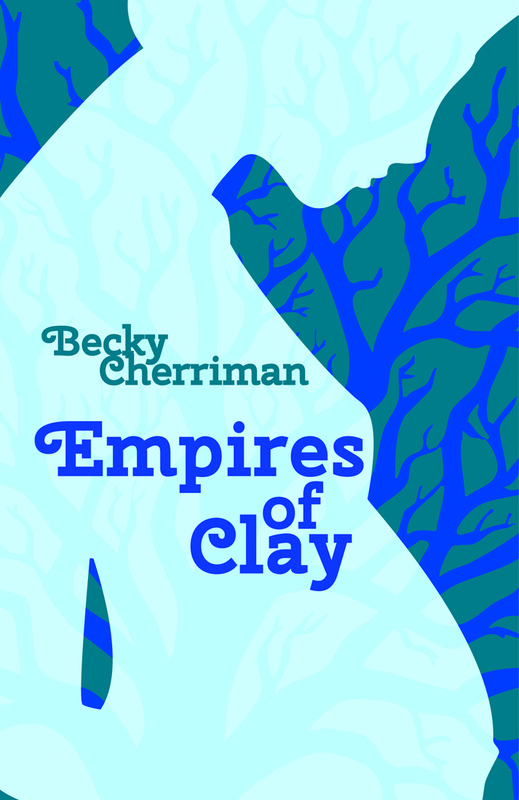 Moving away from Alice for a moment, please note that plans are underway for my poetry collection launch, which will take place on November 8th at The Leeds Library at 7 pm with readings by myself and Steve Ely. Entry is free but please let the library know you are coming. Please note the venue is the private library on Commercial Street in Leeds.